Q do you have other patterns? Please Remember: If the seller is asking you to contact them directly in order to bypass the bidorbuy system, please note that this is against the bidorbuy Terms and Conditions. bidorbuy monitors the Questions and Answers on items and reserves the right to take appropriate action if a violation of terms is detected. PartStore (127 ) has answered your question on the item - Apple iPod Nano 8GB 3rd Generation - Black. Your question was; Hi! Do you know about this - what BOB warns us Buyers?! "Please Note: Trying to contact the seller directly and thereby bypassing the bidorbuy system, is against bidorbuy Terms and Conditions. bidorbuy monitors the Questions and Answers on items and reserves the right to take appropriate action if a violation of terms is detected." Yup, as far as I know, it's always been there. I guess they are just trying to keep everything in the system, which is fair. Lots of buyers try get around BoB and sellers try get out of paying comms. Please Remember: If the seller is asking you to contact them directly in order to bypass the bidorbuy system, please note that this is against the bidorbuy Terms and Conditions. bidorbuy monitors the Questions and Answers on items and reserves the right to take appropriate action if a violation of terms is detected. If you have feedback or need help, please contact us or call us on 0861 88 0861. This type of behavior runes the super environment that BoB has grown to be over the last decade. I think we must all just stick together and report this kind of behavior asap! What about the selling of items not in stock? it is clear that he will only get the items once ordered! Indeed... Has a very weird thing going there... Check the items out. (I think you have...) Odd stuff lying and flying around. LOL! BEFORE leaving a NEUTRAL or NEGATIVE rating. PS Did alter cell... LOL. You don't have to pay anything... LOL! What if I decide to "buy" all 1000 of them? 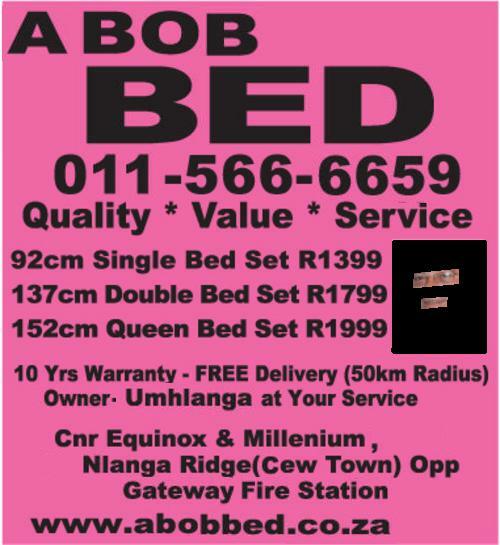 Who pays BOB? Well !! My innocent timbers are shivered. Talk about biting the hand that feeds you!!! Eish. Ahh but the regulations shall not permit you to do business transactions on the forum! My understanding is that its perfectly acceptable to do business transactions via pm as long as contact details are not exchanged and obviously the transaction should go through bob. The forums are only there to chat and,... to whine...- just like I said... ~LOL~I just L-O-V-E your Avatar!!! 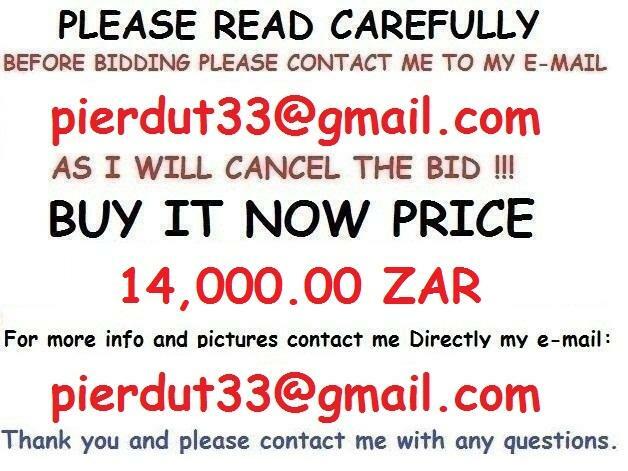 So, if you do not contact Jock first via email, your bid gets deleted? ZAR? LOL!! Is that like in; only Kruger pounds? Sounds like another local seller shouting; "International shipping!!!" Duh! LOL! 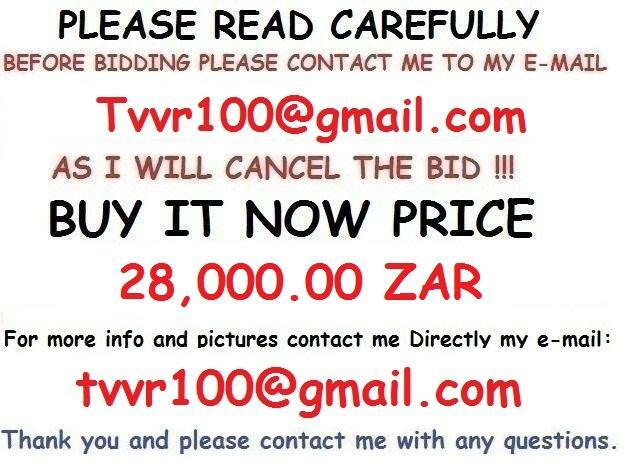 Ask DeanCandice (no ratings) a Question ← Back to item 38243589 Please Note: Trying to contact the seller directly and thereby bypassing the bidorbuy system, is against bidorbuy Terms and Conditions. bidorbuy monitors the Questions and Answers on items and reserves the right to take appropriate action if a violation of terms is detected. Adding BOB werf-hoener number two. Very weird. Take a look at the bike ad too. Guy talks about "miles".